Rabbi Ari Hart serves as the spiritual leader of Skokie Valley Agudath Jacob, a growing, welcoming orthodox synagogue in Skokie, Illinois. He previously served as Associate Rabbi at the Hebrew Institute of Riverdale and Director of Admissions at Yeshivat Chovevei Torah. Ari also co-founded Uri L’Tzedek (Awaken to Justice): The Orthodox Social Justice Movement, the Jewish Muslim Volunteer Alliance, and was the founding director of Or Tzedek, the teen institute for Jewish social justice. An internationally recognized thought leader on Jewish social justice, identity, and peoplehood, Rabbi Hart has taught across Europe, Israel and North America and regularly contributes to publications such as the Jerusalem Post, the New York Daily News, Shma Magazine, Haaretz magazine, the Jewish Daily Forward, and more. 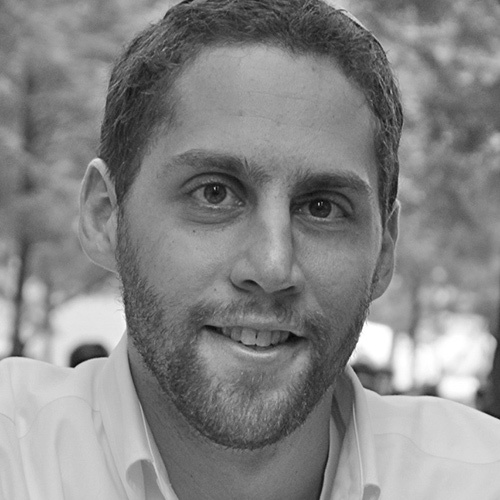 Rabbi Hart is a member of the inaugural Schusterman Fellowship cohort and was recently selected by the Jewish Week as one of the 36 “forward-thinking young people who are helping to remake the Jewish community. He received his ordination from Yeshivat Chovevei Torah in New York City and learned at Yeshivat Hakotel and the Pardes Kollel. Ari graduated from Grinnell College with a degree in music theory and composition. Together with his better thirds, Becca and Hodi, Ari is blessed to live back in his hometown of Evanston, Illinois.